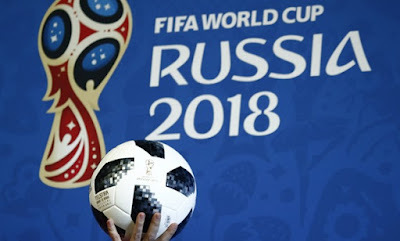 A rehearsal for the FIFA soccer World Cup draw was held in Moscow, Russia on Wednesday. Teams were drawn by the likes of former Uruguayan player Diego Forlan ahead of the official draw ceremony on Friday (December 1). Russia, competing both as Russia and the Soviet Union, has made 10 World Cup appearances and will host the tournament for the first time next June and July. In their three appearances since the collapse of the Soviet Union, in 1994, 2002 and 2014, Russia have failed to reach the knockout stage. Meanwhile, Head coach of the Nigeria Super Eagles, Gernot Rohr is in Moscow ahead of the 2018 FIFA World Cup draw.